In theory, any USB-C hub will work with the iPad Pro. But in practice, some hubs are more equal than others. My first attempt — the Vava 8-in-1 — didn’t even work. It would pass power, but it wouldn’t let me hook up a regular USB audio interface to its USB-A ports. I returned it. The second one was a cheap Anker hub, which had a too-short USB-C tail and hung from the side of my iPad. I replaced it with an i-tec dock that seemed almost perfect. It was the previous version of this model. The i-tec hub was almost perfect. Almost. A dock like this is a great option for an iPad Pro, because you can leave it on the desk, hooked up to all your accessories, and just connect the iPad to it when needed. 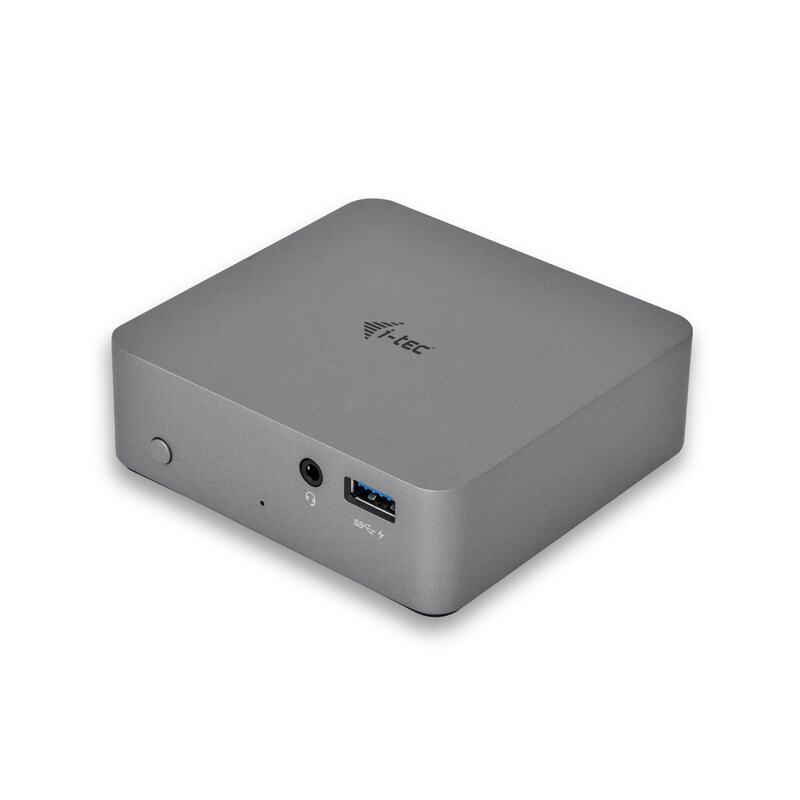 It also has a USB-C port for connecting to the computer instead of a hard-wired cable like smaller hubs. This means you can use a wire long enough to reach the iPad. So, what was wrong with it? The headphone jack. I use my iPad to record audio — music, podcasts — and I use a USB audio interface for that. But the i-tec dock kept stealing the audio connection away from my audio interface. iOS only recognizes one audio input/output device. If you are using one, and you plug in another, then the most-recently connected one takes over. That’s usually fine, but the i-tec hub would glitch, losing the connection to the iPad. Then, its own audio jack would take over. This never happened in the middle of recording, but it often happened between takes, which is almost as bad. Worse, my iPad would often fail to see my connected USB mixer until I restarted the mixer, and perhaps the hub, and maybe even the iPad. Nope, not this one, either. 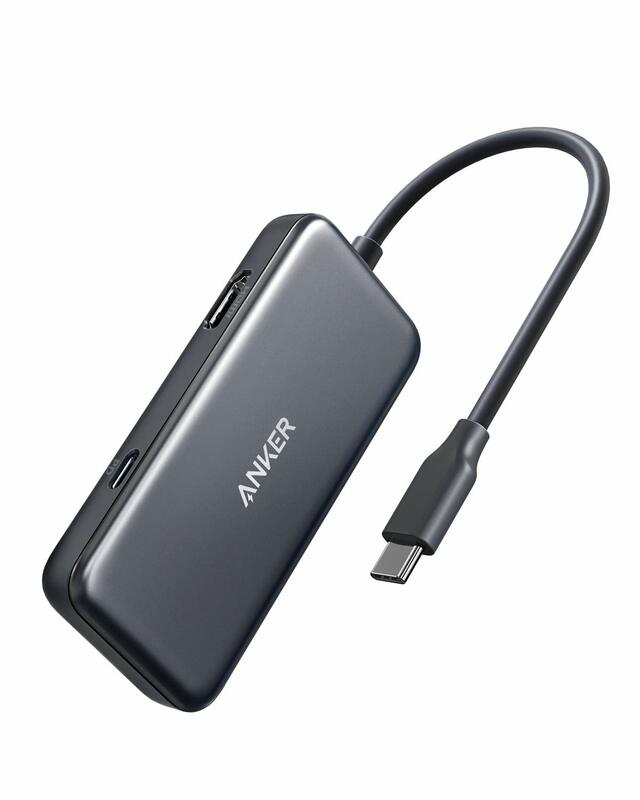 Next I decided to go back to the Anker, but I’d already lent it to a friend, who had decided to keep it. 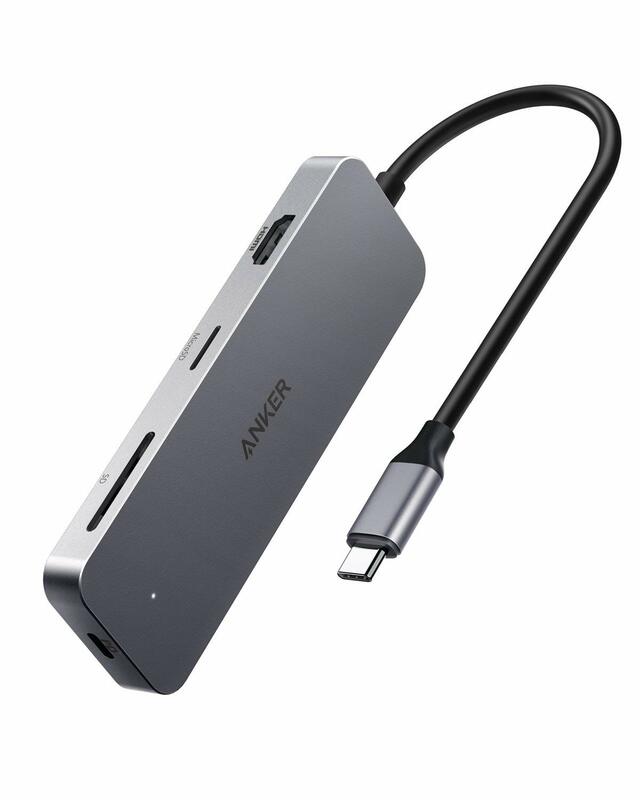 I ordered another Anker hub, this one with its USB-C input hole at the opposite end from the output cable. That keeps the cables nice and tidy. It worked, and best of all it would connect to the USB mixer 100 percent of the time. I could live with it hanging off the side of the iPad if it was reliable. But then it started to act weird. My iPad would connect and disconnect from the hub while sleeping. The iPad screen would wake up, and the icon that shows USB-C connections would appear. Worse, the iPad would reboot itself while connected. Around this time, I was also looking at a hub that would work with the OP-Z synthesizer, so I could connect it to a keyboard, say, without running down the battery. The OP-Z is fickle about what hubs it can work with. I wondered, if I bought one of the compatible hubs, might it also work properly with the iPad? The list actually contains a single powered USB-C hub, the Kingston Nucleum. I bought it, and it works. Not only does it connect an OP-Z to a USB-C keyboard, it also connects the iPad reliably to all my USB accessories. 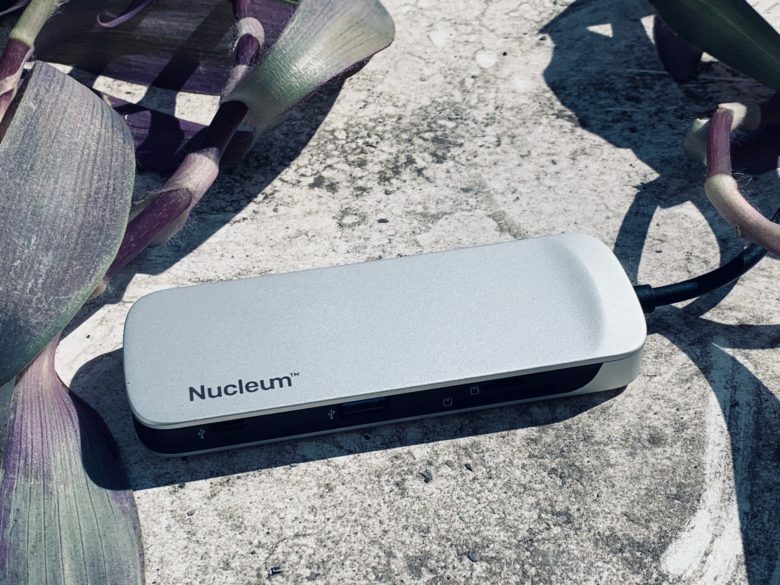 The only downside is that the Nucleum only has two USB-A ports. Most hubs this size offer three. On the upside, the Nucleum packs a USB-C port instead. That means you can plug in an extra USB-C device and charge it. You can even daisy-chain another USB-C hub to the Nucleum. I’m doing that right now, typing this on a clicky USB keyboard hooked up to a daisy-chained hub. 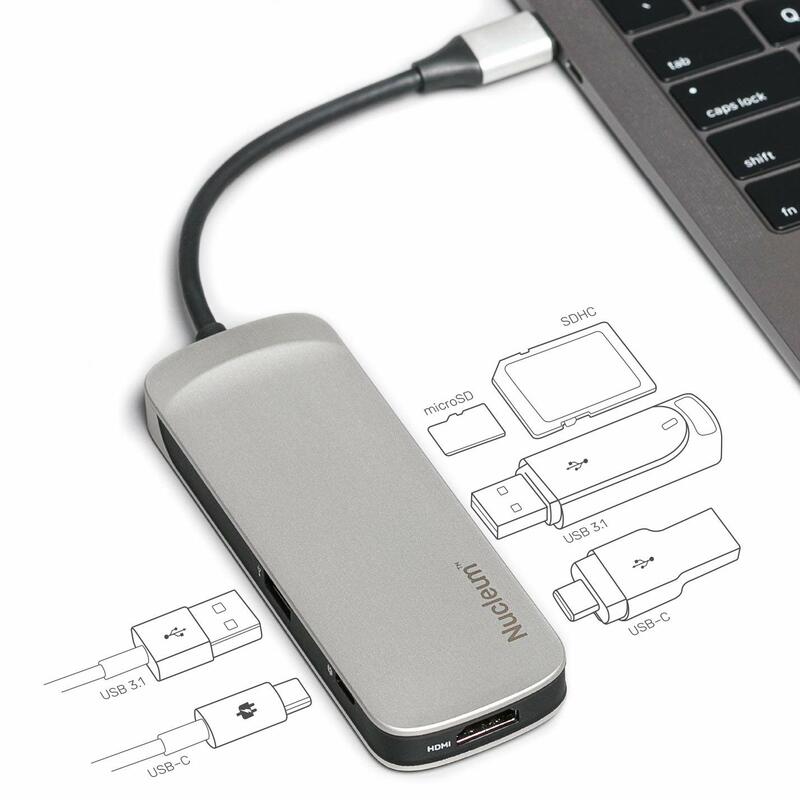 So, if you’re looking for a USB-C hub for your iPad Pro, and you don’t want one with a headphone jack built in, get the Kingston Nucleum. 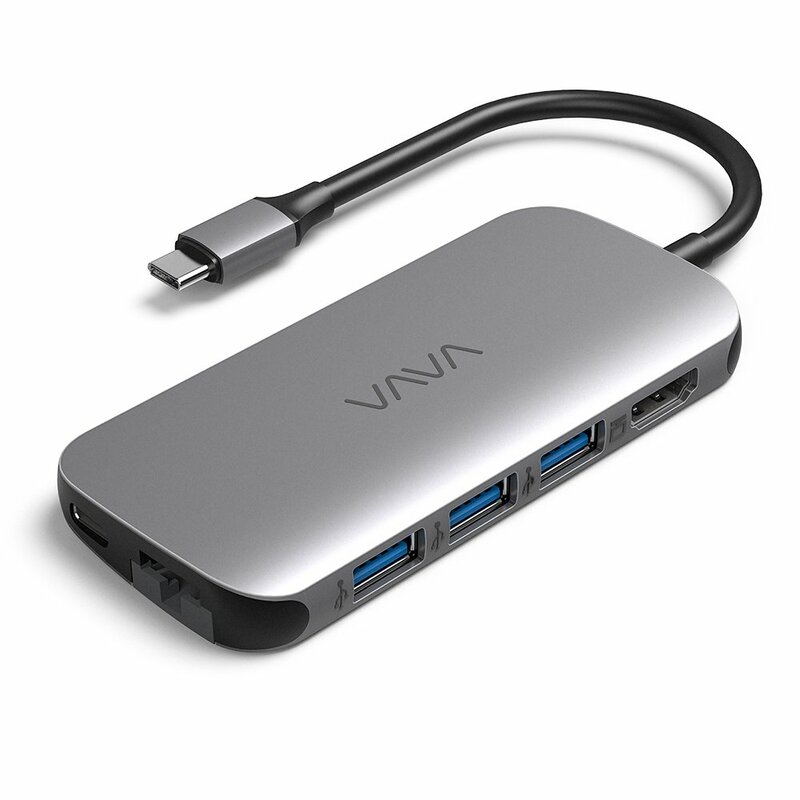 It costs the same as comparable hubs, and it works better than any other USB-C hub I tried.